A few weeks ago when Sony held its State of Play stream it started off with a very cool surprise trailer for Iron Man VR. Since I’m a total geek for all things Marvel, my interest was piqued immediately. As I watched the trailer, which featured the eccentric Tony Stark jumping out of a hole in the side of his private jet and free falling as he equipped his iconic suit, little did I know I’d get a chance to experience it first-hand via PSVR less than a week later. While the build I played was a work in progress, it showed a lot of potentials. 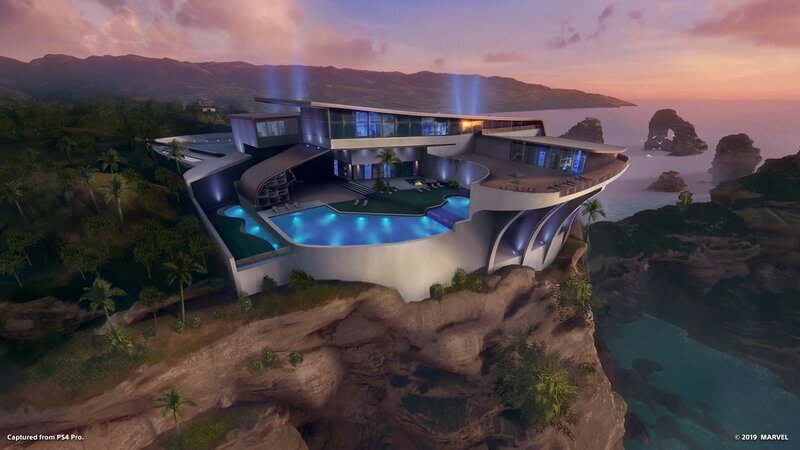 My stint as Iron Man started off with a training mission at Tony’s private estate that showed me all the skills I would need before I stepped into the real action. Everything that players will need can be found literally in the palm of their hands. Iron Man flies using the jets in his hands and uses his palms to shoot his beams. The occasional flying punch is also put to good use. The directions you shoot and fly are controlled by where your palms are pointing, so aiming them in front of you makes you go backward, pointing left makes you go right, etc. Players will have to think of the PS move controllers as their hands and find a balance between keeping themselves elevated and taking on enemies. After cruising around the compound and getting my sea-legs, so to speak, it was time to embark on a real mission. As I mentioned before, the mission was the same one shown in the reveal trailer. The Marvel supervillain, Ghost, has sent a gang of drones to take down the jet and get their hands on Stark’s latest tech. This is where I really started to feel like Iron Man, flying through clouds shooting down debris and drones, Tony quipping with his AI program Friday. The game really nails the sensation of being inside the mech suit. Along with the standard flight and combat, there were a few mini-games as well that involved trying to fix the jet. At one point, I had to bend a few things back in place, and in another instance, I shot out extinguisher foam instead of laser beams to put out an engine fire. The whole experience ended with me turbo boosting through the air to catch up with the falling jet and make a dramatic rescue of the one and only Pepper Potts. 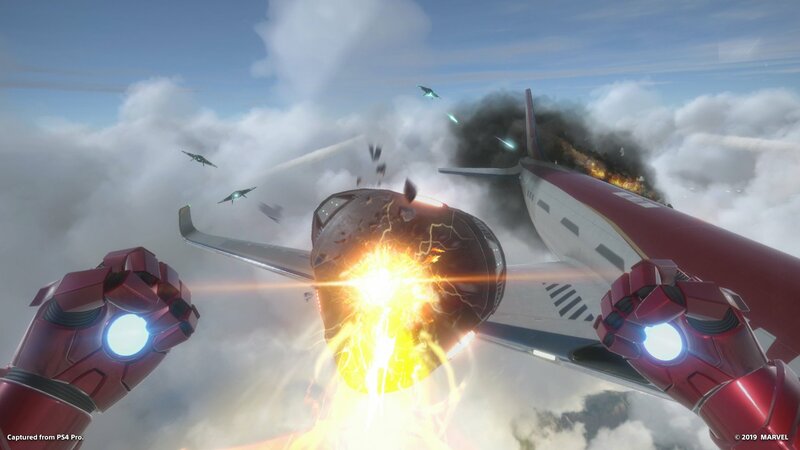 Iron Man VR still has a few little kinks to be worked out before its fully realized, but I was extremely impressed by what I saw so far. While Batman VR was fun, Iron Man makes way more sense for VR in my mind. Plus you feel just as badass as Tony Stark when you’re shooting beams out of your hands. People looking for a solid VR experience and Marvel fans should definitely keep an eye on this one. 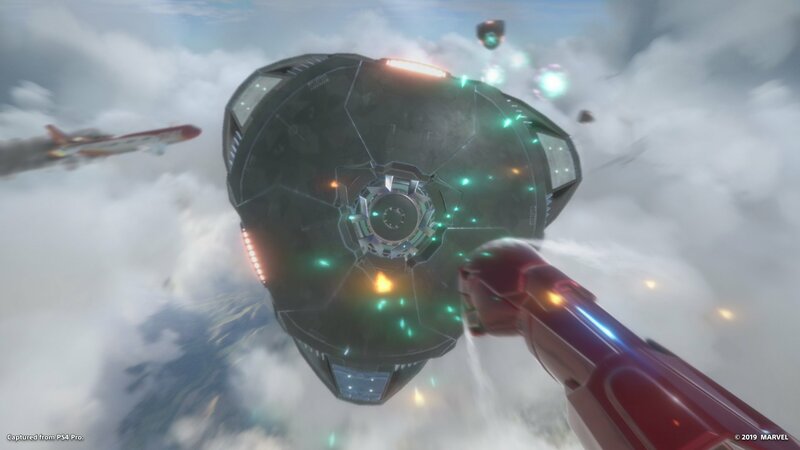 Iron Man VR does not have a release date just yet but is scheduled for a 2019 release exclusively for PSVR.